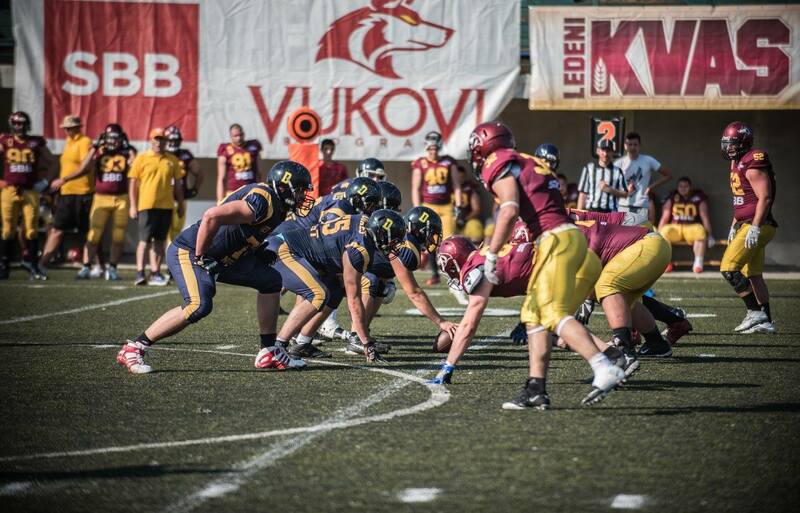 If we were to ask anyone in Serbia, prior to 2017 season, which teams would go to the Serbian Bowl - the answer would be Belgrade SBB Vukovi and Kragujevac Wild Boars. 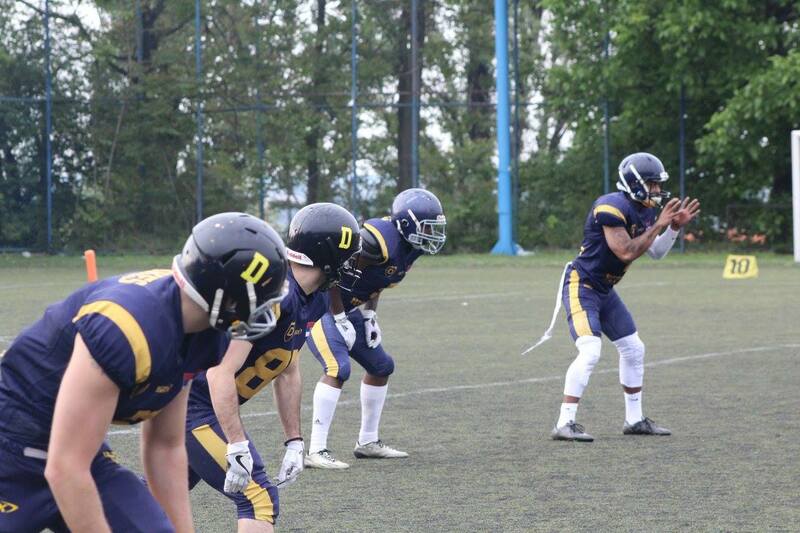 However, once the season started, Belgrade Blue Dragons jumped in with a winning strike making the season more interesting, while the Novi Sad GAT Dukes were still being overlooked. No one thought Novi Sad could pull it off, even after they advanced to the playoffs. Novi Sad played Belgrade SBB Vukovi in the semifinals, and the game was pretty much done if the first half - where QB Griggs along with his teammates put 33 points on the board, and the defense allowed Vukovi to score just one TD. This was the very first win for the Dukes against the Vukovi in Belgrade, ever! The only other W Novi Sad managed to score in Belgrade against Vukovi was during a U19 season, years ago. We were quite surprised by the playoff match outcome, so we had to sit down with Christopher Griggs - who is both OC and QB, as well as Luka Vujnovic - LB and who is also one of the team GMs. "We started this season knowing that 3 teams (Vukovi, Wild Boars and Dukes) will compete for the championship. Although we lost those both games in the regular season, we managed to raise our performance before the playoffs and won semifinals in Belgrade 7:33 and here we are - fighting for the championship title. I think that good chemistry in the team and hard work payed off. The hardest part was the start, where we were getting our team together and once all the 'pieces of the puzzle' were there, we started grinding for the final goal." - says Luka Vujnovic. Luka is the one to "take the blame" for signing Griggs. 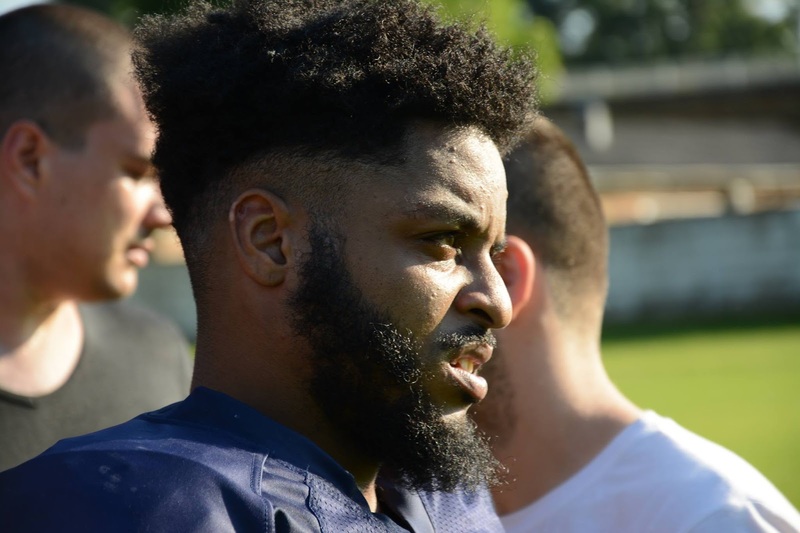 Prior to the season kick-off, we saw a Facebook post by Griggs, where he talked about his football experience in The States, and how he would constantly get overlooked as a QB. We checked out his film, and now, one thing is for sure - his highlights don't show what he can actually do. "I’ve been playing football since I was 6, as QB. Once I got into high-school scrutiny started - I wasn’t tall enough, no one would give me a fair opportunity to play QB. I would usually get: “Go another route and play WR”, because I didn’t fit the QB stereotype. Even when playing at QB, I wasn’t getting a fair opportunity to do what I wanted to do. I was ready to do all it takes – one play at a time. I wanted to come to Europe because I knew I will have a better chance. I would love to build a long term career in Europe, and my experience is so far great, and this is something I’m willing to do down the line, or to even make a permanent move to Europe. Before coming to Serbia, I was still supposed to be at college, but at the same time, I knew I wouldn’t get a fair shot playing in school. I would be labeled as the guy who runs the ball. I had less options, so I told myself I will take a chance and prove my worth and ability that I can lead the offense as QB. That’s when I came across Luka Vujnovic and the Novi Sad GAT Dukes. They were willing to let me do what I wanted to do, and here we are, ready to go to a Championship next week!" Luka couldn't agree more with his OC/QB, and has pretty much confirmed everything Griggs said: "We signed Chris as our QB because he showed a lot of interest in our program and truly wanted to be a part of it. He also showed us a lot of football knowledge which he inherited from his father who has been a college football coach for many years. Also our head coach Vladislav Petkovic recognized his physical abilities and we pretty much found the same language with Chris from the very first message and we knew he was the right guy for us." The quality of football played in Serbia may vary from team to team, where there'd usually be 3-4 top teams, and the rest would try to catch up. Not too different from other leagues that are still developing. However, Serbian national team has had quite a success. 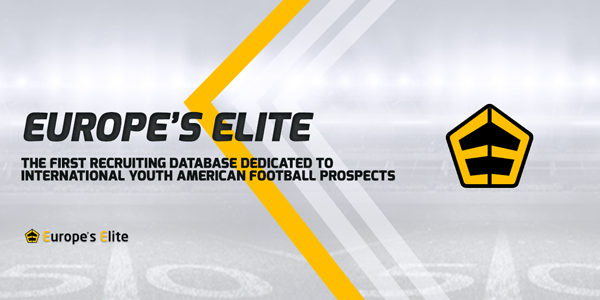 The level of club competition is on the rise, especially on the European scene - within CEFL and the recently shut down IFAF Europe Champions League. However, Serbia is still not the "hot spot" or the #1 choice for most American coaches and imports, so why signing with the Dukes? Christopher Griggs: "Dukes were a team that was willing to give me a shot to come in and be myself, not be a robot who does what they want me to do. They let me run my own offense. You can’t ask for nothing better than that. Be the QB I know I can be, and not controlling my type of play at the same time. Everywhere else before that, I’d be controlled, and Dukes let me be me. Other teams I talked to weren’t as engaged as the Dukes - Luka wanted to know the real me, and kept communicating with me. No one really communicated with me as much as Dukes did. When I first saw the Serbian league, I could tell the league is starting to expand. More teams were getting imports, and that’s how teams would get better. The league is in young stages of development compared to Germany or Austria. The only thing that Dukes lacked were the fundamentals. People need to learn the mechanics to be the best player they can be. I was hoping to help everyone get their fundamentals, and get the coaching they weren’t able to get. It’s about getting everyone to be consistent and do their job. I wanted to implement everyone working as a team. Be the best player for your team, without thinking like you’re the only one on the field. Being the OC as well, is everything you can ask for, running your own show. When you’re running an offense, it’s all on you to make sure everything is in the place where it’s supposed to be in. My dad has really helped me and grew me into the QB I am today, which helped now when I got the chance to coach and play. It’s not too much pressure being the OC, I love it! At this point, I get respect from my guys. They listen and do what they need to do on the field. They know it translates into our team getting better. I was looking for a long term deal, and most likely, I’ll re- sign with the Dukes. The impact I’d like to make – I wouldn’t do many changes, but just getting the consistency on a higher level. I'd love to work more with the juniors and younger guys, who are becoming more interested in the game, to give them the opportunity to help expand their game and one day be able to play in the first division or even move up to the big team. I am so grateful for having the opportunity to be a part of the Dukes, where I can be the QB I want to be. Without them giving me an opportunity I’d still be at home looking for a place to play QB." Which does bring us to the most recent Novi Sad game - the semifinals. It was a win no one saw coming for Novi Sad. However, Griggs was confident. "My gameplan vs Belgrade SBB Vukovi was rather the same like we played them the first time, during the regular season, although that time around we lost. My main objective was to beat them at the line of scrimmage. Set the speed and tempo to get their players tired. We have a very good offense and we’re hard to match up against, and it was all about getting our team fully together to go, and keep banging on them until the game is done. Bottom line is that we were focused on our game and getting our job done. 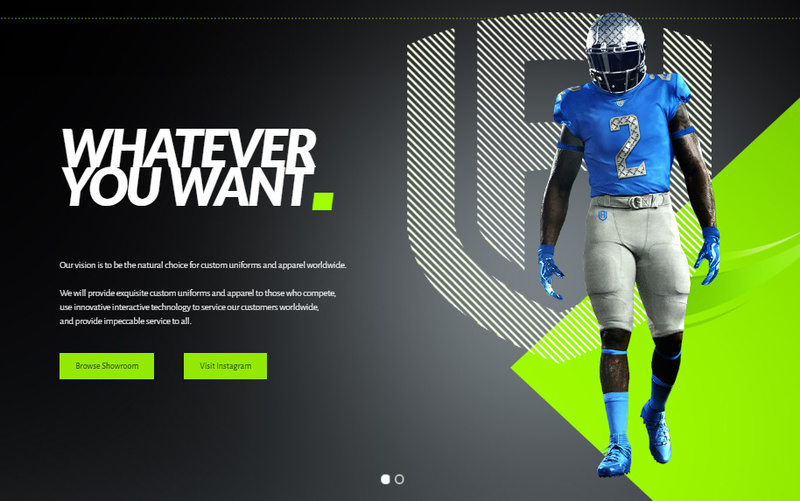 We look at the upcoming Championship like any other game. We will train a little harder though, but it’s nothing different than any other game we played. We will go in like we went to play Vukovi in the playoffs. We’re not really changing anything with our approach in coaching. Preparing like we were preparing for the whole season, but just a bit more focused." Novi Sad has always competed in the CEFL (Central European Football League) with a few breaks. 2 years ago, they managed to get the double title - both in CEFL and SAAF. 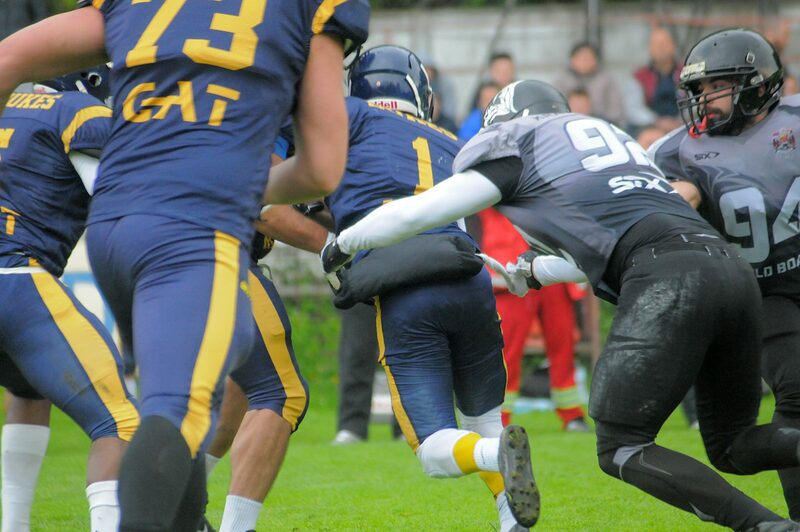 This year, it was quite a surprise to see them in the CEFL lower division - The CEFL Cup. The new rule stated that only max of 2 teams from the same country can compete in the league, and those two spots were taken by Vukovi and Wild Boars. 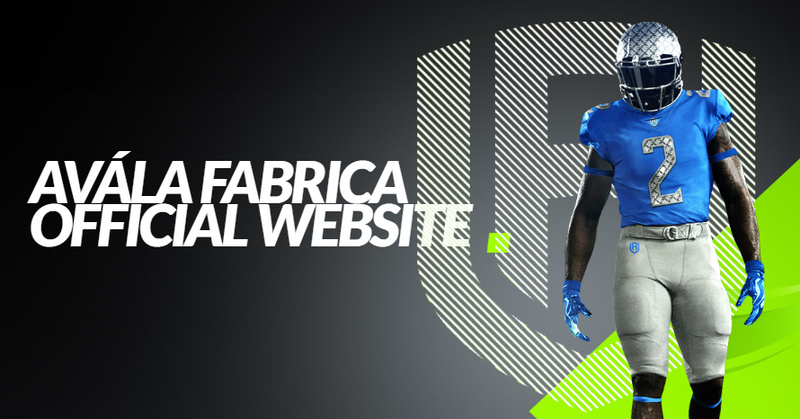 "I honestly think we can compete in the CEFL league, after winning the CEFL Cup. Dukes are on a bigger level than teams in the Cup, our level would be a better match for the CEFL, and Dukes did play in CEFL for quite a few years, and won the Bowl a few years ago. 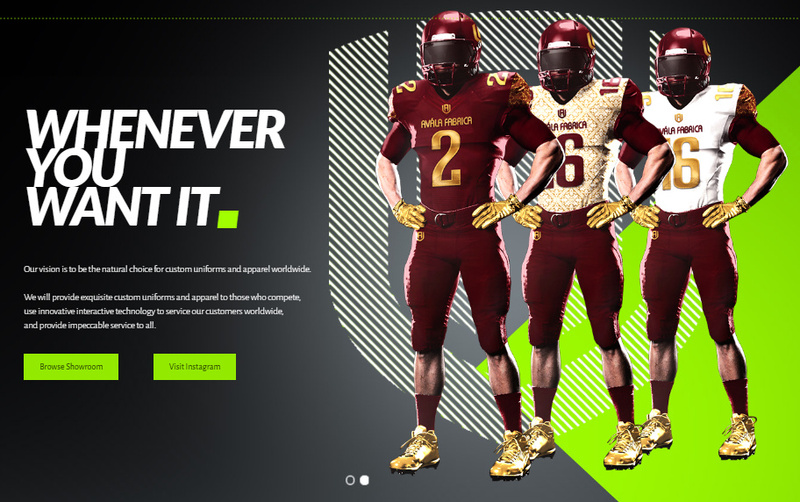 I’d love to have the opportunity for the Dukes to play in CEFL next year, to get the exposure they deserve. It would be great to play against some of the biggest teams in Europe." What's even more interesting, is that this is Griggs' first season in Europe. However, he seems very comfortable, like he's been playing in Europe for a longer period of time. "Be prepared for a culture shock. Many people speak English, but they don’t speak English. It’s a learning process and something you need to adapt to for the 6+ months. In America, the game goes to another level every year. Coming to Europe – field is different a bit, not as big as in USA. Maybe your roster will not be a big one. Understand the territory you’re coming to – but football in Europe is not bad at all, although it’s been up and running for a lot less than in USA. When negotiating with the team make sure that accommodation is taken care of and that all you have to do is focus on football, without stressing out on other things." 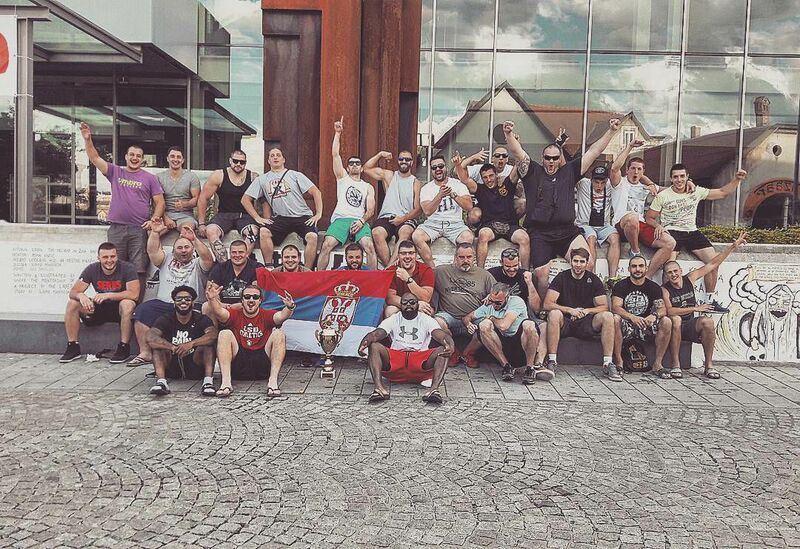 Serbian Bowl is scheduled for July 8th, between Kragujevac Wild Boars and Novi Sad GAT Dukes. Game will be broadcasted on TV, as well as online.